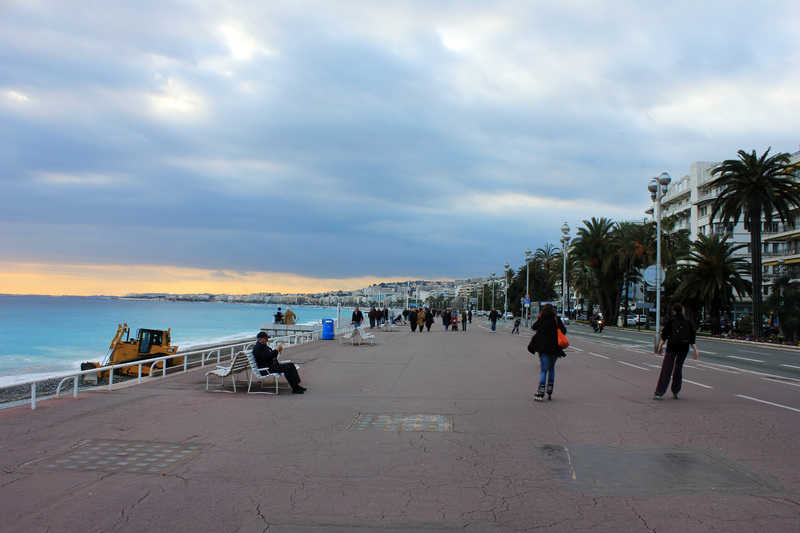 Located along the beach, the Promenade might just be where you spend most of your time in Nice. Everybody comes to the promenade: tourists, locals, men, women, children, elders– the whole lot. 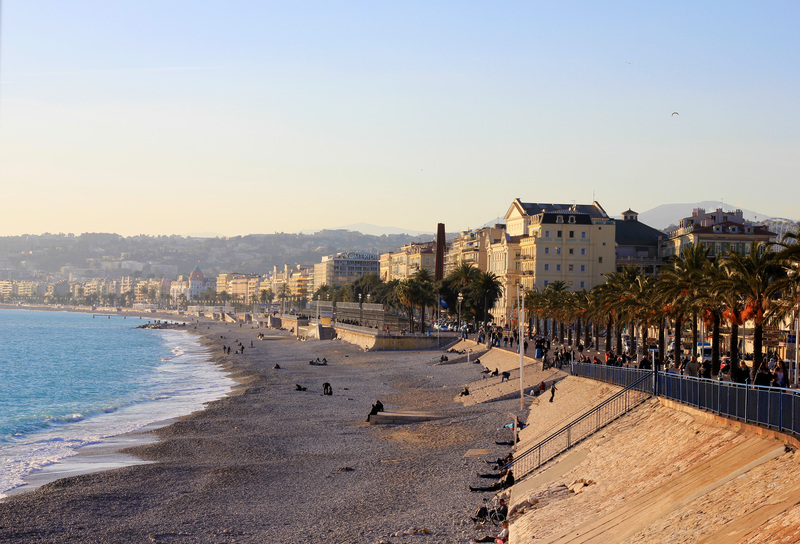 After all, who doesn’t want to spend time strolling along the beautiful French Rivieria? But strolling isn’t the only thing to do here. Avid rollerbladers, skateboarders, and bikers can often be seen cruising down the promenade. 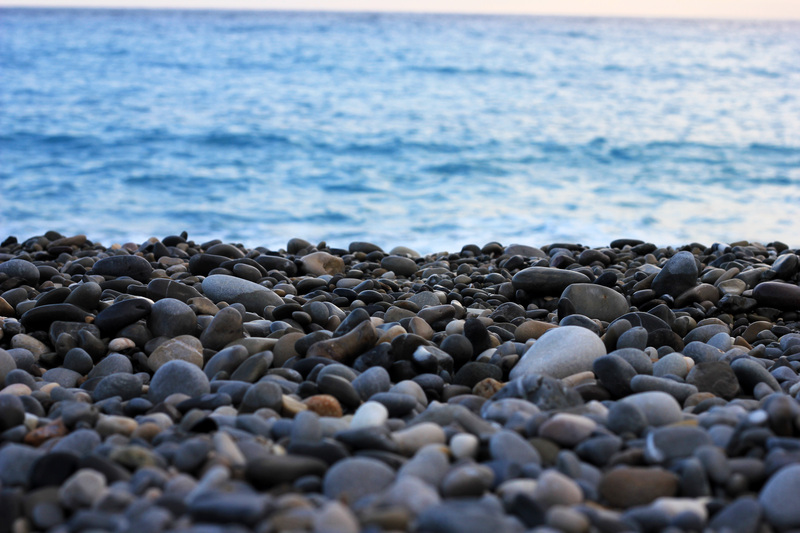 Of course, the stoney beach itself is equally popular. Due to Nice’s great summers and mild winters, flocks of people will be at the beach at any time of the year. 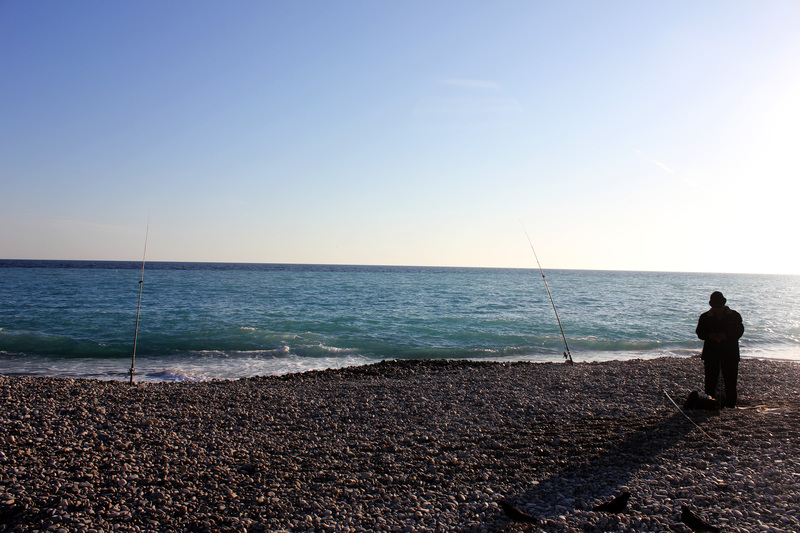 People can be seen laying down, lounging, playing games, fishing, eating baguettes, watching the sunset, etc. Even in February, some men lie out in their speedos. 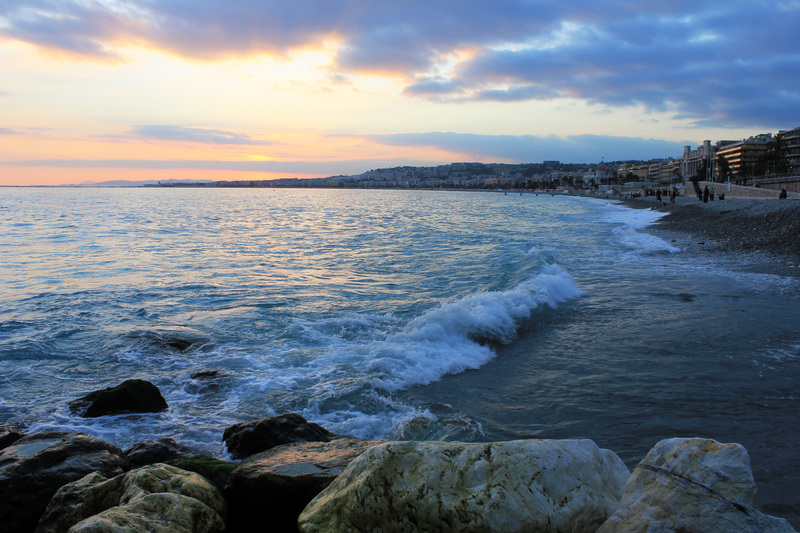 This entry was posted in France, Nice and tagged beach, europe, France, Nice, promenade, travel by Babak Haghighi. Bookmark the permalink. 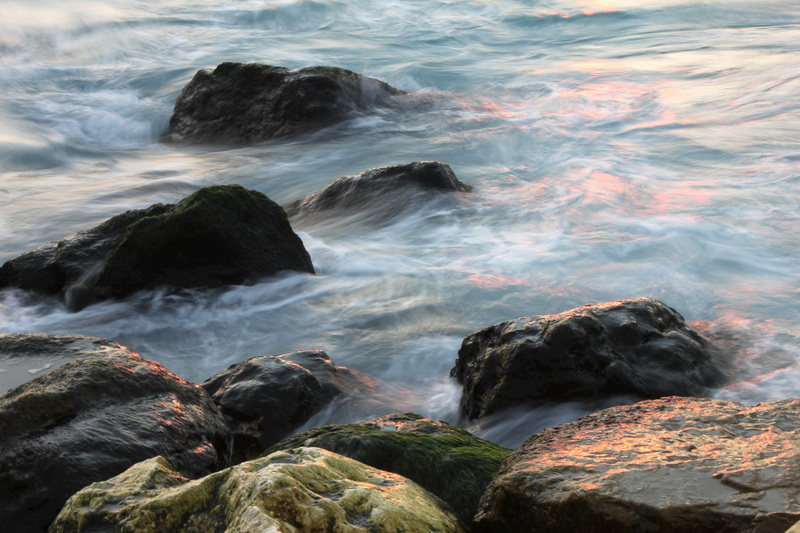 I always have a problem getting my pictures to look good when the light is fading like that. What would you advise me to do? I have a good camera. It might not be the best but its good. Its a cannon powershot. I can change the shutter speed and the iso and everything. But i have a hard time knowing what number to put it on. Another thing. I love taking pictures of landscapes. But i can never do them justice with a picture. Im not a photographer or anything i just like to have pretty memories of my trips to scrap book.